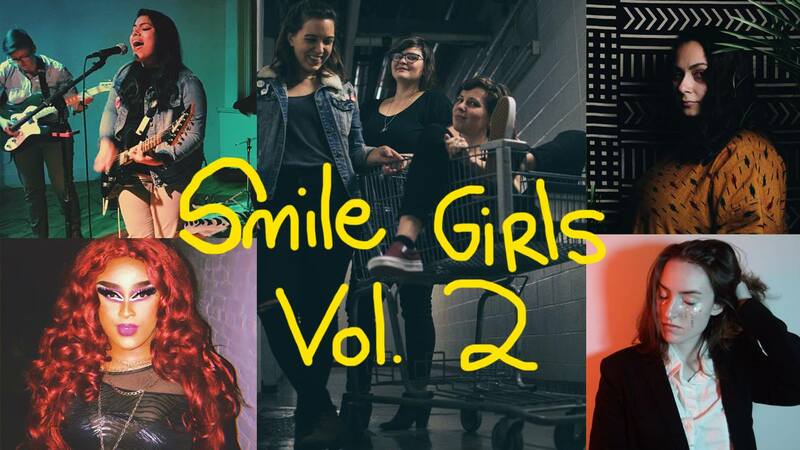 "Smile Girls is a compilation project featuring Atlanta's coolest/turnt-est/hottest/bestest/empoweringness female and non-binary performers. Volume 2 features songs by Bitter, TAYLOR ALXNDR, Suntundra Moon, Laurie Ray Music, Sister Sai, Structures Beavers Make, and Lois Righteous. Bitter, Taylor Alxdr, Lois Righteous, Laurie Ray, and Sister Sai perform! Nashville's Banana Tapes is putting out the compilation on cassette! COME AND GET IT BADDIES! Check out Volume 1 at smilegirls.bandcamp.com! 529! - Doors at 8 pm! - Donations!"